STEEL-CASTER™ for Sale in Toledo, OH | ABCO SERVICES INC. 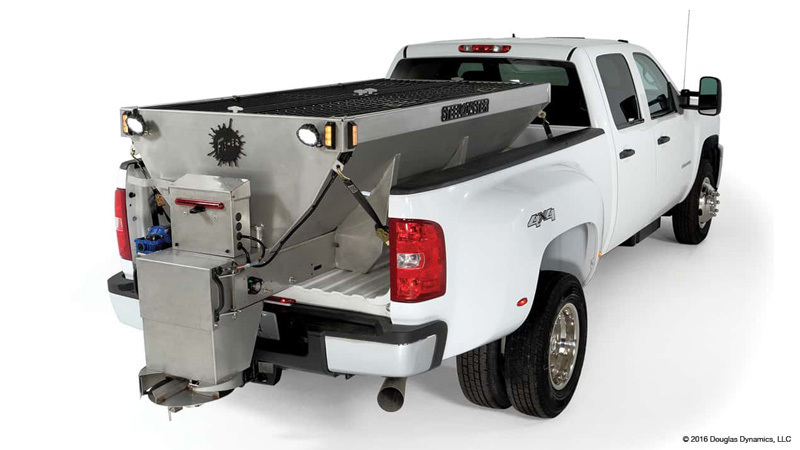 Engineered to own the ice, the FISHER® STEEL-CASTER™ stainless steel hopper spreader is designed to reduce waste and maximize material control. An innovative chute design allows professional contractors to direct de-icing material, such as salt and sand, out and away from the truck and the circular shutter deflector allows more even one-sided spreading operations. Available in electric, gas and hydraulic options, each spreader is built with low-maintenance, rust-resistant stainless steel and is mountable in ¾ and 1 ton pickup trucks, dump bodies or flatbed trucks over 15,000 lb GVWR, for commercial and municipal ice control in Toledo.